The automotive industry is rapidly evolving and the car is transformed from a simple mode of transport to a personalized mobile information hub. With the new technologies, the hackers will be able to potentially take over every movement. Road safety will not be enough in the coming time. To maintain cyber security in cars, increasing amount of electronics and software in vehicles will additionally require security, to protect the vehicle against hackers. The automotive industry is rapidly evolving and the car is transformed from a simple mode of transport to a personalized mobile information hub. 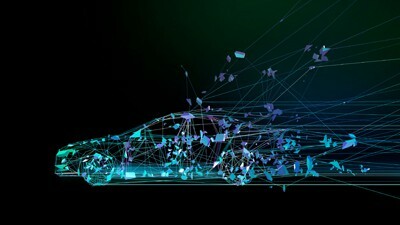 Until recently, cars have been isolated from their environment and from the internet, but the Connected Car will soon feature various wireless technologies like V2X communications, telematics, Near Field Communication (NFC) and multi-standard digital broadcast reception, complemented by ADAS systems that implement autonomous driving features. All these electronic functions bring great benefits to the driver, increasing comfort, convenience, safety and efficiency. But these features come with new risks, too. Modern vehicles are gradually turning into ‘smartphones-on-wheels’, which continuously generate, process, exchange and store large amounts of data. Their wireless interfaces connect the in-vehicle systems of these ‘Connected Cars’ to external networks such as the internet, which forms entry point for hackers, opening the door for remote attacks. Cyber attacks pose a threat to the reliability and safety of the car – the hacker can potentially take control over the car – as well as to the privacy of the driver – the vehicle data can be used to build a profile of its user(s). Therefore, steps need to be taken now: the Connected Car must be secured, to ensure the correct functioning of all in-vehicle systems, as well as user privacy. This implies a paradigm shift in the design of in-vehicle electronics. Traditionally, there has been a strong focus on safety, meaning that for example the brakes should function correctly under all circumstances. Safety will remain equally important in the future, but the increasing amount of electronics and software in vehicles will additionally require security, to protect the vehicle against hackers. In terms of connected vehicles, overall, the car possesses a lot of features like front and rear camera systems which are used to detect pedestrians and implement braking functions, surround view camera systems which helps automate parking functions, surround radar sensing assists with highway distance control, and the list goes on. However, ensuring that each vehicle has the highest level of security against unwanted hacks/attacks is of utmost importance. 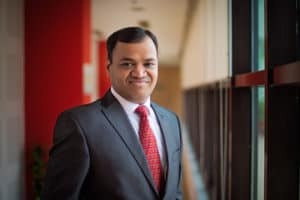 Securing connected cars internally and externally is hence crucial for electronics providers as well as connectivity services providers. Secure processing units implements all the features of the connected car. Each connected component has its own specific security challenges. The 4+1 framework provides the right level of protection and countermeasures to individually address the security needs for each one. This structured approach delivers multiple levels of defense, from the vehicle’s perimeter to the individual electronic control units (ECUs), eliminating vulnerabilities. The 4-layer security framework provides a holistic approach for securing the complete vehicle architecture, using a defense-in-depth strategy. We are in a new era of vehicle complexity and connectivity, and with that a new era of ingenuity and resourcefulness for car hackers. However, the security of the vehicle electrical architecture is vital to ensure the safety of the vehicle occupants so we need to respond to this threat. The 4 layer security framework provides a holistic approach for securing the complete vehicle architecture, using a defense-in-depth strategy.